We are currently researching weed management requirements in establishing switchgrass for bioenergy. 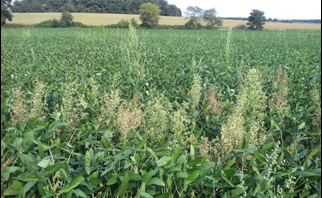 To compliment our current efforts to create weed management recommendations during establishment, we have created a survey in order to gather information. We are interested in how growers and individuals that advise growers in the Upper Midwest perceive and manage weeds in perennial cropping systems, and given information on establishment and productivity success, how they would make weed management decisions while establishing switchgrass. It will take 5 to 10 minutes of your time, and will greatly assist us in our efforts to make weed management recommendations for growing switchgrass for bioenergy. There are no anticipated risks to you, and your participation will benefit the agricultural community by increasing our understanding of the decision making process related to weed management during the establishment of a perennial crop. This survey is voluntary and all responses are anonymous. You may withdraw at any time. Again, we would greatly appreciate your participation! If you have any questions, or would like to talk further about the project, please contact Ariel Larson, at adebroux@wisc.edu.